Aureol Gillan is a Senior Specialist Therapist at Castle Craig Hospital. Aureol currently leads our all-male intensive treatment facility, Kirkurd. Aureol has also run equine therapy at Castle Craig for many years and three of her horses have a permanent home on the estate. She has been working at Castle Craig from 1989 to 2012, and 2014- present. 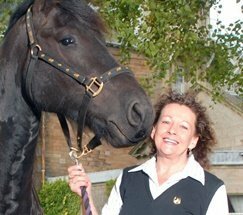 Aureol is an Equine Assisted Therapy Facilitator and a member of COSCA (Counselling & Psychotherapy in Scotland) and EAGALA (Equine Assisted Growth and Learning Association). The Scotsman, Helping Hand to Beat the Demon Drink. The Herald, Spending Time with Horses: Is this the Perfect Therapy? Equine Assisted Therapy on BBC Alba, Gaelic Language.